There's a preoccupation, almost an obsession, with e-commerce these days. Amazon is constantly in the news as it continues to set web traffic and sales records and to finally make some money. Resellers are flocking to the platform to join their marketplace in a search for e-commerce after the widespread failure of their own independent efforts. I, along with many others, have written numerous articles on e-commerce and how important it is for the future survival of small independent resellers. So what's going wrong? We've seen many office products resellers independent e-commerce efforts fail, and we've seen many join Amazon and other online marketplaces. The question I'm exploring here is whether or not joining the Amazon platform is likely to be the salvation resellers have been searching for in their quest to join the digital world and to develop e-commerce? The problem at Amazon, particularly for the smaller, relatively unsophisticated reseller, is that it's really difficult to make any money. Then, to compound that problem, Amazon owns all the customers, not the resellers. Unfortunately, resellers may be going to Amazon for the wrong reasons. It's tough not to admire what Amazon has accomplished but, we have to remember they didn't get to their dominant position overnight. Over the course of many years, they built enormous trust with their customers by providing a service with unprecedented levels of quality and reliability. When a customer transacts at Amazon they have absolute trust in them, regardless of whether they're doing business directly with them or a third party marketplace vendor. The reality is that an Amazon customer doesn't care who's actually providing the product purchased in the marketplace. It doesn't matter because the buyer knows there's an implicit guarantee behind the transaction and, if anything does go wrong, they'll be taken care of by Amazon. Bottom line - Amazon shoppers are Amazon customers! The key factor here is the trust that Amazon has established over their 15+ years in business. This trust is not just because the customer knows he or she will get their money back if they're not satisfied for any reason, it's also the trust from knowing that Amazon will execute flawlessly on the logistics, with the product being delivered when they say it will be and in the condition they said it would be. In order to be able to achieve this, Amazon invested heavily in sophisticated, integrated information technology systems. Successful e-commerce is not possible first, without the use of technology and second, without having developed a high level of trust through the intelligent use of that technology. During the opening phases of e-commerce development between 2000-2015 and, as companies such as Amazon, New Egg, DepotMax, and Staples, established increasing levels of trust with their customers, that trust translated into a virtuous cycle of more traffic, more transactions and even more trust. Of course, the development of their e-commerce did not go unnoticed by small businesses around the nation. So, between 2005-2015 we experienced the first phase of the development of small to medium size resellers efforts to conduct online commerce. These efforts were mostly copies of the shopping cart concept established by the pioneering companies mentioned above. After all, if it worked for them, then why wouldn't it work on a smaller scale for the independents? However, the part of the puzzle that many of the independent resellers missed was the necessity for building trust before they could build a successful e-commerce business. Although they were able to mimic the shopping cart sites that worked so well for the large organizations, they slowly found out that same approach didn't usually work well for them. There are two main reasons why this is the case. Firstly, as I've said, they didn't establish a foundation for a transaction to take place because no trust had been developed and, secondly, they had no web traffic to conduct a transaction in the first place. Furthermore, consistent, relevant web traffic cannot be developed without compelling reasons to visit and engage with a resellers website. Creating that compelling reason, developing relevant traffic and slowly building trust is the only way to replicate the success of the behemoth online organizations. We know the first phase (2005-2015) of independent resellers e-commerce efforts broadly focused on only one of these required elements, that is the presentation of an online catalog. There was little thought applied to how traffic was to be developed in order for any transactions to take place. The reality was, and continues to be, that replicating all of the elements listed above, would have been far more likely to result in successful e-commerce than deploying one single element of the overall infrastructure. Unfortunately, independent resellers didn't look under the hood to understand the necessity of each of these elements and that e-commerce cannot occur without each of them securely in place. Many independent resellers also made the mistake to think they could attract random traffic and customers from across the nation while they sat in their offices ringing up online sales and, in so doing, neglected the real opportunity in their own backyard. By implementing the technology systems necessary to compete with Amazon and the other major online stores, and then getting feet-on-the-street in local markets and developing real relationships, they've long had an unrealized and potentially powerful advantage over the faceless online giants. It seems clear that more and more consumers and businesses want to conduct transactions online in some fashion (even if this does not include re-keying an order from their ERP system into a resellers e-commerce platform) and this trend is not likely to be reversed. However, it's also the case that many buyers attach a value to a face, a name and someone they can count on if there's ever a problem that needs to be resolved. So, what's the path forward for small resellers with failed e-commerce initiatives? The short answers are for them to implement the overall infrastructure that's needed in order to be competitive in today's business environment, to develop an improved understanding of their value proposition and where the competitive weaknesses are that can be exploited and then, to leverage this capability and this knowledge, with their physical presence in their local markets. This doesn't mean there's no place for Amazon in a resellers business strategy. 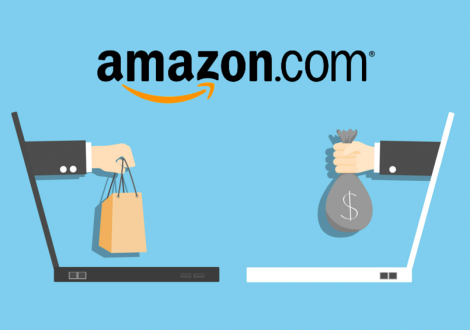 However, the reseller's mindset and strategy need to change so the marketplace is treated as a means to achieve their end, and not as a means for Amazon to achieve theirs. There are tools made available by Amazon that can allow sophisticated resellers and the behemoth to co-exist but, these tools must be utilized to make the market work for the reseller and for achieving satisfactory long-term goals. In order to increase the value of an enterprise, there needs to be a full integration with the internet, an integration that the enterprise controls and not a third party. The failed efforts at independent e-commerce need to be revisited but, this time, they need to be approached when they are inclusive of all the elements necessary for successful e-commerce as has been explained here. For additional reading on the state of the office products and supplies industry, and to help you develop a better understanding as to why there are still great opportunities in the office products and supplies vertical, please click on the button below and download a free copy of our e-book. This contains valuable information on the industry, how to take advantage of the current conditions and to help understand a strategy for achieving profitable sales growth.